By analogy with the sun, whose light is apparently reaching us in 8 minutes, it means that we are only viewing the sun 8 minutes ago when we look up at it. However, what if we were eventually able to build powerful machines that could view light from say hundreds/thousands of years ago, wouldn't that mean we would be able to observe what anyone did at any given time (given that we know their rough whereabouts at that time, e.g. where they lived). I think this is more a question of: Do things we can observe die out immediately, or travel as light, or get stored somewhere? If you have a mirror placed 100 lightyears from earth what you do now will be reflected in the mirror 100 years later. Another 100 years later the reflection reaches you. By looking into this mirror you could see 200 years into the past. The farther away the mirror, the farther back in time you can look. (practical limitations on the distance arise from the Hubble expansion, but this is another chapter). In principle, sure... if we imagine that we can actually make an image out of such tiny amounts of light. As others have pointed out, all we need is a mirror. But we actually have mirrors not too far away: black holes! When light gets close to the black hole, it bends around it. This is called gravitational lensing. Passing kinda close means a little bending; much closer means much more bending. Light that gets really close can actually pull a 180, and come straight back. (Light that gets even closer can go around the black hole numerous times, and shoot off in basically any direction.) This works with ordinary, run-of-the-mill black holes; there's no need for crazy spins, or wormhole topology. So yes, in principle, some of the light that's leaving Earth right now will eventually come back. The only problem is that there will be so few photons that the light will be ridiculously dim, and coming from a really tiny area right near that black hole. We can see the light from stars many light years away, but stars give off far more photons than Earth. So realistically, we'll never be able to make an image out of this light from anything in human history. The light from earth from (say) a hundred years ago is now a hundred light years from earth. So, in principle, if you could get in front of the light, and had a magic* telescope, you should be able to look back and see the Earth as it was a hundred years ago. But, if you're on the Earth now, to actually get in front of the light, you need to travel faster than the light, and this is impossible according to Special Relativity. wouldn't that mean we would be able to observe what anyone did at any given time (given that we know their rough whereabouts at that time, e.g. where they lived). There's a quite practical reasons why this isn't possible: Most of the time, the light a person emits (or more correctly, light that bounces off him) doesn't go very far before it runs into something that absorbs it -- a wall, the ground, overcast sky, or as a special case the retinas of someone looking at you. Thus this light ceases to exist very quickly. If you're doing something somewhere where you can see blue sky (or at night if you can see the stars and somehow there's light to see you by), the light from you will be able to escape into space where it can keep going for thousands of years -- and then what the other answers say about big mirrors floating in space and magical telescopes becomes relevant. But even in principle this only applies to actions that can be seen from space in the first place. What you're doing in your house with the curtains drawn, or for that matter out in the open on an overcast day, can't ever be observed by visual light other than by someone who is present there to observe it immediately. Do things we can observe die out immediately, or travel as light, or get stored somewhere? 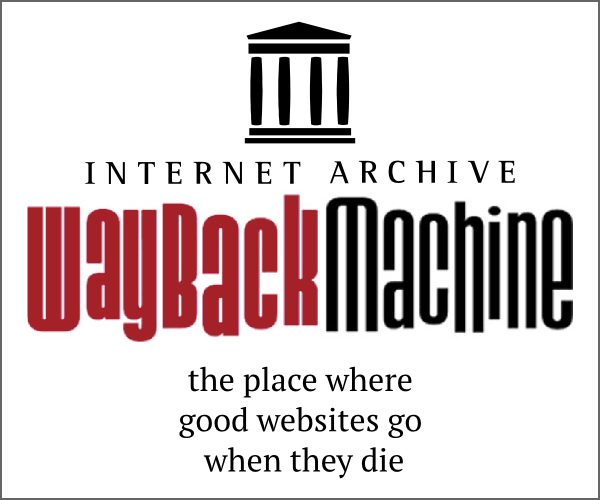 For an amusing fictional take on the idea that information about our actions "get stored somewhere" without needing to travel as light does, see The Dead Past by Isaac Asimov. Don't dwell too much on the scientific premise of the story, however -- it's been overtaken quite soundly by later discoveries, and much of it (spoiler!) turns out to be fake even in-universe. You are right, and it is often said in the context of cosmology, that observations of distant objects are looking backwards in time, because we are seeing those objects not as they are now, but as they were when they emitted that light towards us. Could we, in principle, look backwards in time upon ourselves with this trick? No, probably not. We cannot travel faster than the speed of light, so we can never "catch-up" with light that was emitted from Earth during e.g. the stone-age and see what they were up to. Perhaps there are some sci-fi style possibilities - strange spacetime geometries/wormholes that might make it possible to catch up with light without ever strictly exceeding the speed of light, however. Or some slightly more mundane ones - could we use some object in the Univese as a sort of video camera or mirror, and study the past by the effects light from the Earth would have had on it? I think there's possibly another thermodynamics question here: where does information about e.g. what you had for breakfast go? Could, in principle, that be found in 1000 years time by running the laws of physics backwards on the positions, momenta of all particles? I'll leave that one for you to mull over. The universe is sometimes described as a time machine, as every photon has taken time to reach us. Each star you see is several light-years away, and hence each star appears as it was several years ago. Galaxies are typically millions of light-years away, so you are seeing them as they were millions of years ago. The universe lets you see the past! 1) We have no way of catching up to light from the past. It travels faster than we can ever hope to, so we would never be able to set up a mirror in a place that would reflect light from before when we left earth to set up the mirror. 2) It'd be really blurry. We'd be essentially looking at earth from many lightyears away, so some sort of telescope (or magnifying mirror) could help clarify the image a bit, but the same rules apply as with anything you're viewing from really far away. So if there was a really shiny planet that reflected light perfectly 100 light years away, we could be looking at ourselves from 200 years ago, but we'd be lucky to see a blue dot. Yes. It is only possible to view the past. We cannot view the future, and by the time we see the present, it is already the past. However if you want to view a specific period in history, that will probably only be possible if you first achieve faster than light travel. Then you can travel to a point that light from that period hasn't arrived at yet and capture it to view the event. Of course there are additional problems to overcome, for example some of the light may have been distorted by gravity, you might need to compensate for Doppler shifting, etc. Not the answer you're looking for? Browse other questions tagged visible-light soft-question or ask your own question. Would we see the past if we look to a mirror 1 light year away? Physics the Why vs. How question? is there a way to capture scenes from past? Do all narrowband filters tint the field of view? How we are able to see Jupiter? Are space mirrors that show our historical past past possible? Observing an event in the past?